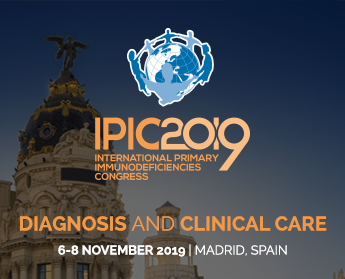 Over the last two years, IPOPI combined its efforts with a worldwide multi-disciplinary team of specialists to develop the “Primary Immunodeficiencies Principles of Care”. The paper outlines the key necessary elements and policies that should be in place to provide a “gold standard” framework of diagnosis and care for primary immunodeficiencies. IPOPI is delighted to announce that the PIDs principles of care were published in Frontiers in Immunology on December 15th, 2014. The publication aims at providing guidance to decision-makers and healthcare professionals throughout the world on the different aspects affecting PIDs. ThePIDs Principles of Care cover the following aspects: the role of specialised centres, importance of registries, the need for international collaborations for scientific research, the role of patients groups, management and treatment options for PIDs, and management of PID diagnosis and care throughout the world. The document is the result of the effort of the PIDs Principles of Care Working Party led by IPOPI, which brought together IPOPI representatives and 28 medical experts representing the 5 continents and different areas of work related to PIDs. IPOPI would like to express its most sincere thanks to all the co-authors of the PIDs Principles of Care with special thanks to Professor Helen Chapel, IPOPI’s Honorary Vice President, whose coordination and input were pivotal in getting the document published. We invite all our NMOs and other PID stakeholders to use the PIDs Principles of Care to promote better access to early diagnosis and care for PID patients worldwide.